How to Enjoy 30 Minutes Free Calls to Any MTN Number: Good morning Nigeria Service. Good morning Nigeria (GMN) is a CSR (Corporate social responsibility) as well as advertising-funded initiative by leading media and planning agencies, media perspectives in collaboration with Mansard, Coca-Cola, Samsung, Jumia, Leadway and ARM. This is their unique way of appreciating Nigerians for their patronage and loyalty. This is as part of efforts to ameliorate the spending costs of Nigerians, with specific regards to telecommunications in partnership with MTN. Good Morning Nigeria allows you to enjoy 30 minutes of free call after you must have spent 3minutes to call an MTN number from 5am-8am. How to activate Good Morning Nigeria? ==> Make 3 minutes call on an MTN number and get 30minutes free to continue on the same call. ==> This offer is from 5am-8am. This service called Good Morning Nigeria was kicked off on democracy day May 29, 2015 and it is expected to run till June 29, 2015. It is time to say Good morning to your love ones. Here is an offer you must not miss. In my subsequent post, I will share with you more free promo from MTN and other networks. So, SUBSCRIBE to this blog now if you don't want to miss them, even if I post them here, when you are not online. 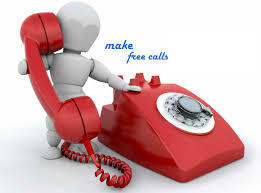 Related Posts: Free Call Tips, MTN Tips. Labels: Free Call Tips, MTN Tips.